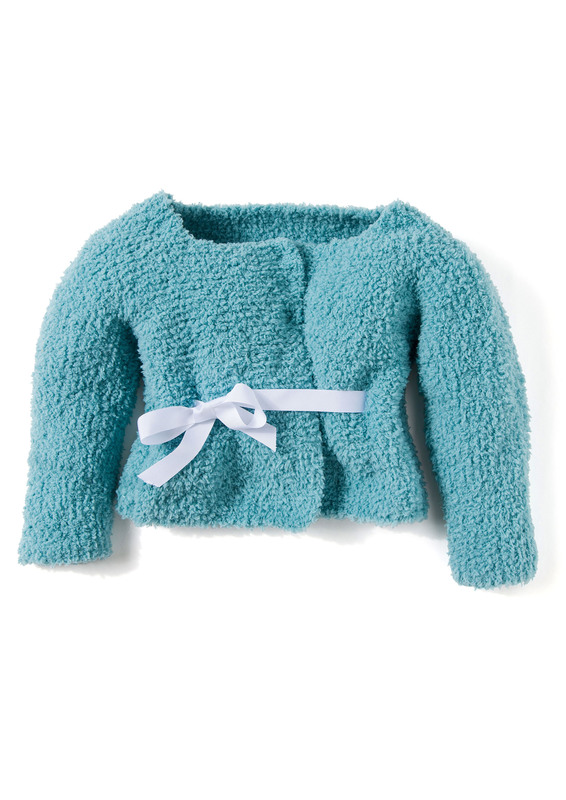 An easy to knit garter stitch baby jacket features snap closures and a sweet ribbon belt which is very practically secured in the side seams and passes through slits to be tied in a bow across the front only. Knit of Baby Smiles Lenja Soft, with a cuddly texture reminiscent of terry cloth but so much softer, and very easy care. In 6 sizes for babies from 3 months to 2 years old.